Mount Carmel College of Nursing’s Adult-Gerontology Acute Care Nurse Practitioner (AG-ACNP) Program is designed for registered nurses who are ready to pursue graduate education that will lead to an acute care focused, advanced practice nursing role. The Adult Gerontology Acute Care nurse practitioner provides health care services to adult patients with complex acute, critical and chronic health conditions in high acuity settings that require intensive monitoring and therapeutic intervention. These advanced professionals are typically employed in hospital settings, including intensive care, sub-acute care and emergency care but may also be employed in ambulatory, outpatient and rehabilitative settings to provide population-based care across the healthcare continuum for the purpose of restoring individuals to their maximal health potential, following an acute care episode. 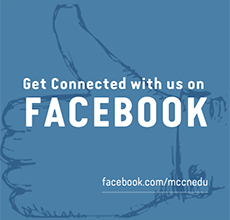 The program is offered in a hybrid model, with both online and face-to-face coursework. Analyzes ethical, legal, and social factors influencing policy and the interdependence and impact of policy on heath care practice across disciplines. Undergraduate statistics and research courses with a letter grade of "C" or better in both. A grade of "C-" will not be accepted. Official TOEFL scores for students for whom English is not the native language; minimum required TOEFL score of 550 (paper based}, 213 (computer based) or 79-80 (Internet based); TOEFL scores are valid two years from the test date. To learn more about the TOEFL, visit www.ets.org/toefl. The Adult-Gerontology Acute Care Nurse Practitioner track admits only in the Fall Semester (begins in August). The application period for all nurse practitioner tracks is September 1 to February 1. View Sample Curriculum of Study here. 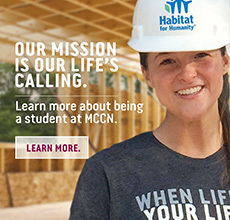 Our admissions office can be reached at 614-234-4CON or at admissions@mccn.edu.